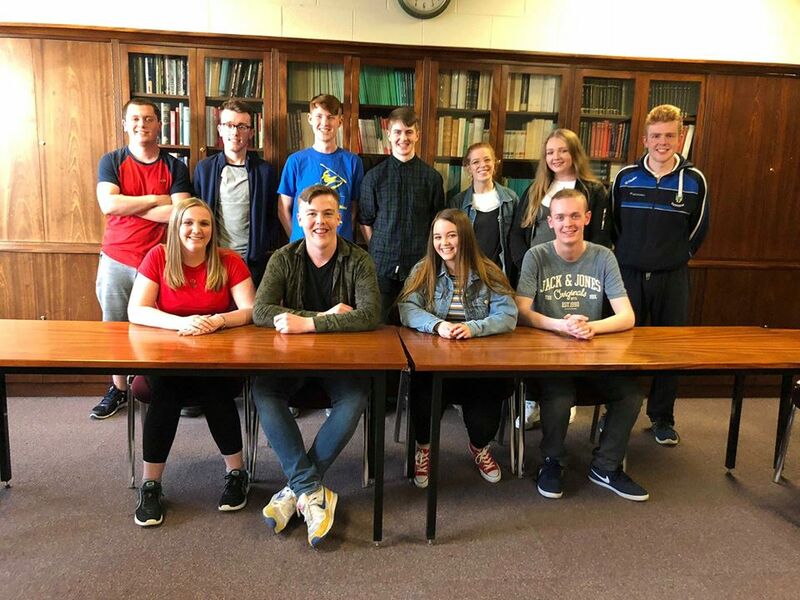 Rory Clarke, Business and Law student and Public Relations Officer (PRO) for the UCD History Society reveals what it’s like to run a student society from within. 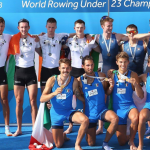 Business & Law student Rory Clarke explains the importance of getting involved with student societies while at college and some of things he has been involved with while studying at UCD. Student societies are one of the things new students (or Freshers) are actively encouraged to get involved in. “It’s a great way to make friends”, “There’s a society (and probably two!) for every interest”, “Don’t miss out!”. But what are these illusive groups? Are there actually more than 60 of them? Who are the people behind them? 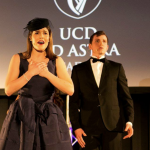 UCD’s Student societies are run by the students, for the students, with minimal oversight from college authorities. There are more societies than you could possibly imagine, ranging from the big debating societies LawSoc and the Literary and Historical Society to the more niche societies such as the Student Legal Service and Harry Potter Soc. With each costing only €2 to join for the whole year, it is well worth the investment. I dived headfirst into society life in 1st year, joining societies numbering into double digits! I quickly realised, as my email was bombarded with invites and reminders of society events, that I wouldn’t be able to commit to all of them – even without my degree to contend with! 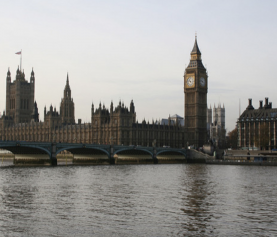 In the first couple of weeks I went to a huge number of events and was particularly impressed with the History Society. Having been an eternal history nerd, I found it a joy to get my weekly dose of history, whether it be in an evening lecture, a walking debate or a pub quiz. It is a good example of how other interests can be kept up through student societies, even if it’s not part of your direct degree programme. 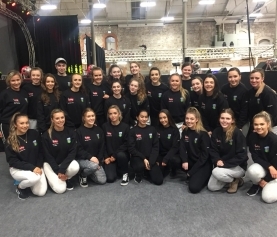 What really changed my perception of the society – from something I occasionally attended to something which could be a fundamental part of my life in UCD – was the trip abroad in 2nd semester. We went to Riga for four days for just €30! (not including flights). The society had gotten a grant from the School of History for entrance to a ton of museums and historical tours during our visit. We had a great time and I made friends for life. When we got back to UCD after that trip I got more and more involved in the society, looking to help where I could and when the society’s AGM took place late in the semester, I put myself forward for P.R.O. for this year’s committee. Thankfully, I was elected along with 4 fellow 1st years and a few more experienced 2nd and 3rd years. As P.R.O. I have a couple of responsibilities within the society. It was my job to design our membership card, complete with the sponsors and deals organised by our treasurer (which give us discounts in what seems like half the restaurants and nightclubs in Dublin!). I really enjoyed this experience and it was a proud moment to see the cards distributed in the first few weeks of the year. I am also in charge of publicising our society events, mainly through designing posters, which I always enjoy, having done Art in secondary school. It always gives me a thrill to see designs which I made on my own laptop plastered around the walls of UCD. 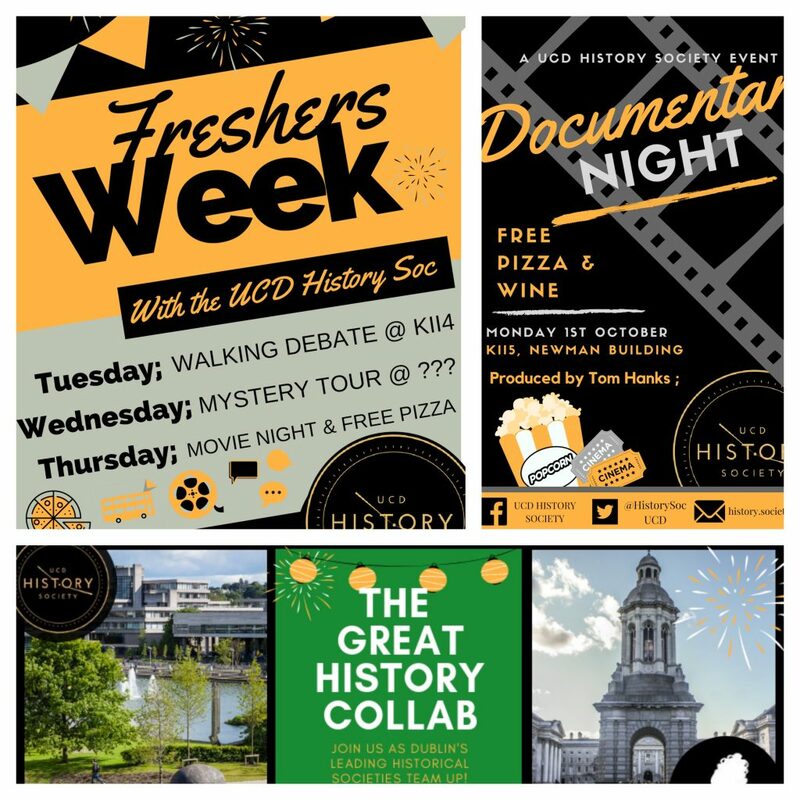 The History Society is student run. We have 11 members of our Committee; the Auditor (in-charge); Secretary; Treasurer; 2 Events Co-ordinators; Fresher’s Rep; PRO; Social Media Officer; 3 Ordinary Committee Members (to help with the general running of the society). There’s something to suit everyone’s strengths and societies are always looking for extra volunteers. We have committee meetings most weeks where we discuss our upcoming events, plan our trip abroad (this year it’s to Bucharest), and discuss any issues. Being part of a society means you can directly influence its activities and it’s so rewarding to see your original idea manifest itself in a successful event. As with anything worth doing, you get out of it what you put in. Running a society requires a time investment but at the end of the day, we’re all friends and we generally end up laughing and joking more than following any strict agendas or rules.